Main image: @TripleH. Other images by @JJWilliamsWON. Check out JJ's Flickr album for more pictures from the tapings. Standing shooting star press by Ford for the pin. - They showed Peyton Royce and Billie Kay attacking Asuka in the parking lot before the show started. The Aussies had a lot of heat with the live crowd. They won with a double team finish on Bridges with Royce dropping her on Kay's knee. - Asuka ran down after the match while being held back by security to attack Kay and Royce but was roughed up until Nikki Cross made the save. After clearing the ring, Cross attacked Asuka herself. Fans booed Drifter all match until he won with his finish. Almas got a decisive win with his leg sweep DDT. Great match with some excellent near falls and a hot finish. DIY won with the double running knee/kick to both men. The Authors of Pain jumped DIY from behind after the match and left them laying. Sick Kick by Strong for the win. 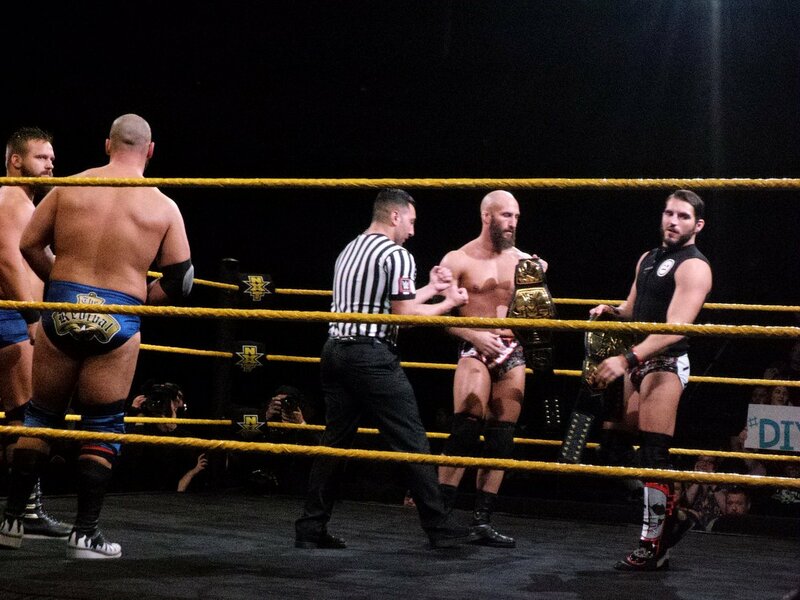 Post-match, he said he doesn't care what Almas says (they're seemingly building to a match between the two) as his goal is the NXT title. - Tye Dillinger came out to talk about his future. The crowd chanted "Royal Rumble" and "Number 10." He was then interrupted by SAnitY who had a jacket for him and wanted him to join. 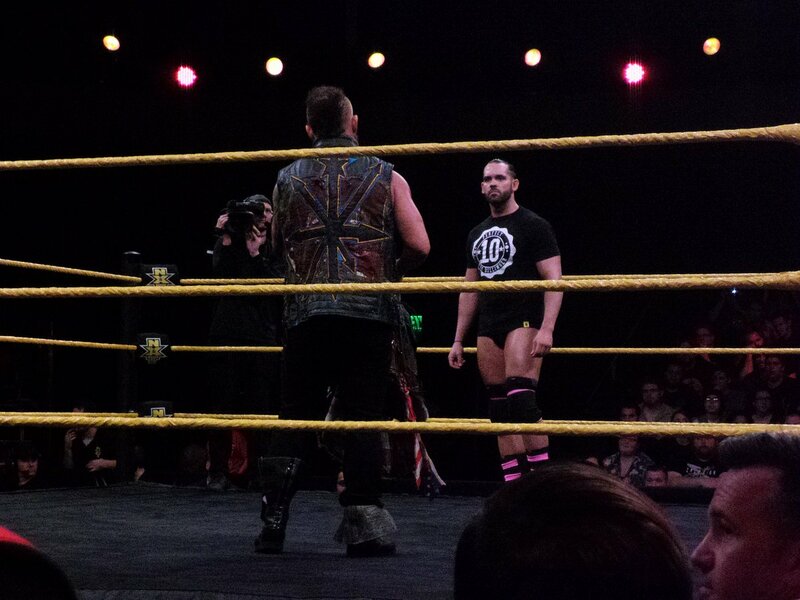 Dillinger dropped it and put the "10" hands in Eric Young's face, which started a brawl. Big Damo, who was not with SAnitY thus far in the taping, came through the crowd and destroyed Dillinger. Stunner off the top by Moon. They shook hands after but Morgan appeared to be disappointed. 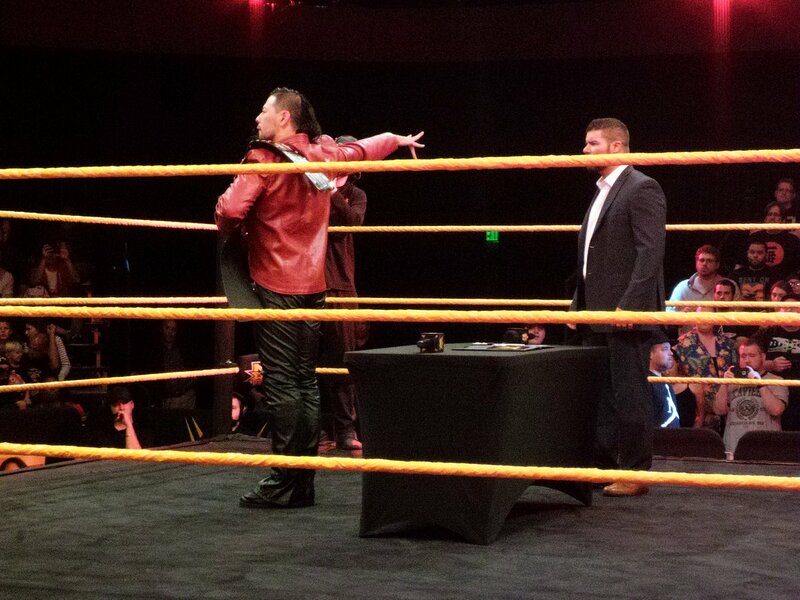 - Shinsuke Nakamura and Bobby Roode had a contract signing for their match at TakeOver: San Antonio. Good stuff here. The crowd was into both men and reacted to all their statements. - Aliyah defeated Mandy Rose by submission. Jose used his half nelson slam for the victory. The Drifter then showed up to massive heat. 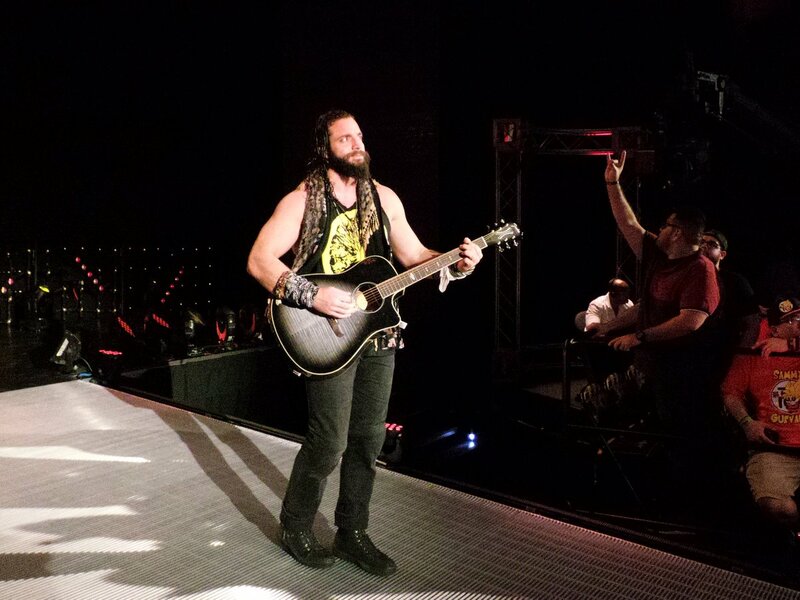 Jose sang "Just Drift Away" to the tune of his own song and Drifter left angrily. Young would say "10" when landing strikes as he wants to face Dillinger. Young won with a wheelbarrow neckbreaker. Nick Miller won with a roll-up, then The Revival destroyed him. They left Shane Thorne laying with a Shatter Machine and he was tended to by doctors. - William Regal announced a fatal four-way NXT Women's Championship match at TakeOver: San Antonio with Asuka defending against Kay, Royce, and Cross. He said that, despite his better judgment, he wants to hear from all four women in the match. This turned into a wild brawl with Kay and Royce fighting Asuka and Cross before the Aussies backed off, allowing Asuka and Cross to fight. Cross jumped off the top to the outside, taking out Asuka and a swarm of security as Kay and Royce looked on in shock. Nakamura pinned Joe with the Kinshasa. 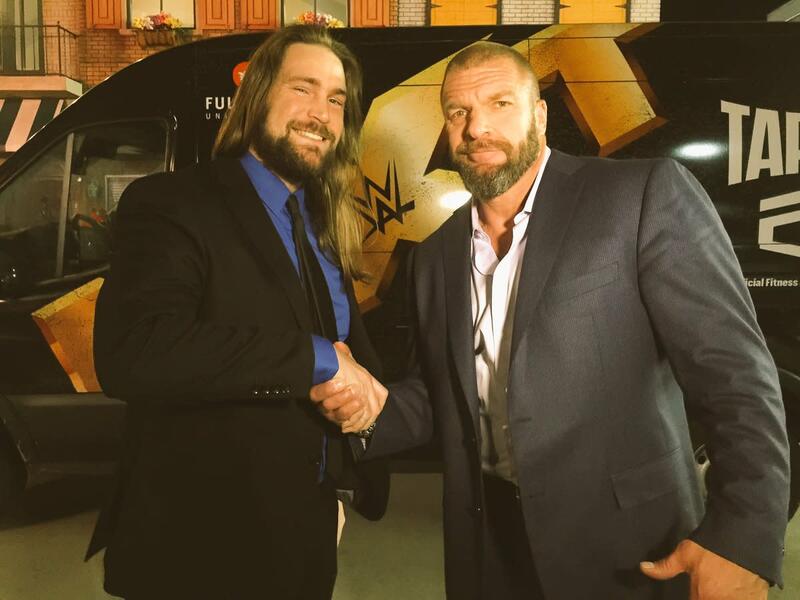 - Chris Hero returned to NXT after the match. 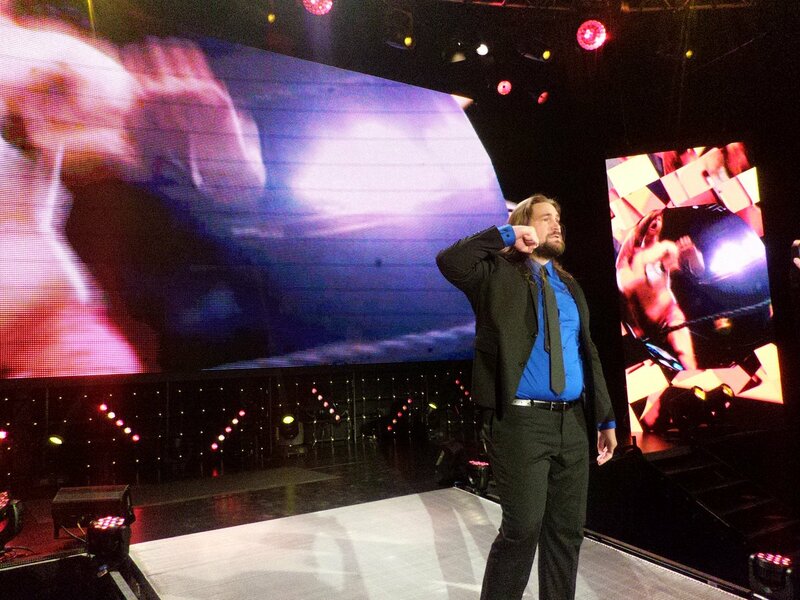 The titantron referred to him by his old NXT name of Kassius Ohno. He entered the ring and looked at Nakamura before leaving.